It's been a while since I posted! Things are extra busy, but I wanted to post this new discovery. 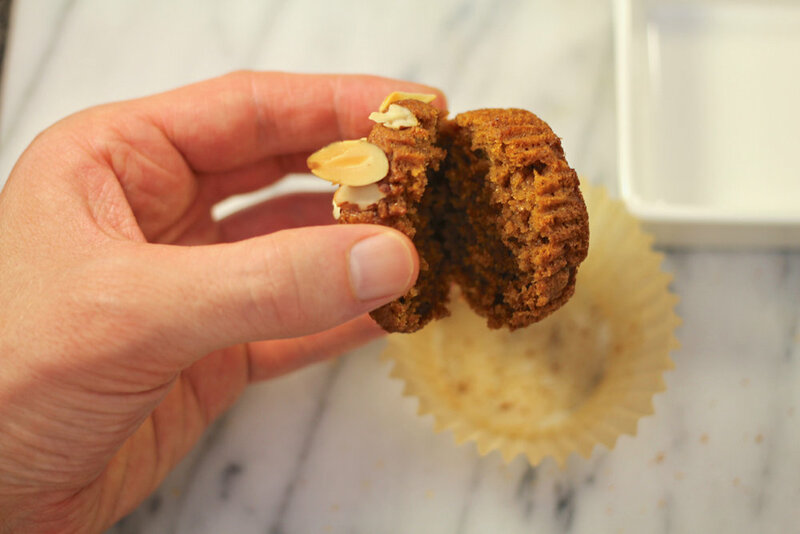 Vegan Pumpkin Muffins. They taste like autumn. I used a recipe from Epicurious as a framework and veganised it with EarthBalance and Flax seed. first, prep the raw ingredients. I love the boldness of autumn spices, so I went fairly heavy: cinnamon, cloves, nutmeg, ginger, allspice... and I put a (heavy) sprinkle of pumpkin pie spice mix for extra measure. The recipe called for quite a bit of fat, but I cut back on the oil and added applesauce. I also used spelt and einkorn flour in addition to the unbleached white flour. To shift the flavour even closer to autumn, I used brown sugar, maple syrup and a splash of orange juice. The juice is also a trick to help preground wholemeal flours taste fresher. Start by prepping the flax "egg" by blending 1T flax seed with 3T water. It's ready when it becomes thick and egg-like in consistency. 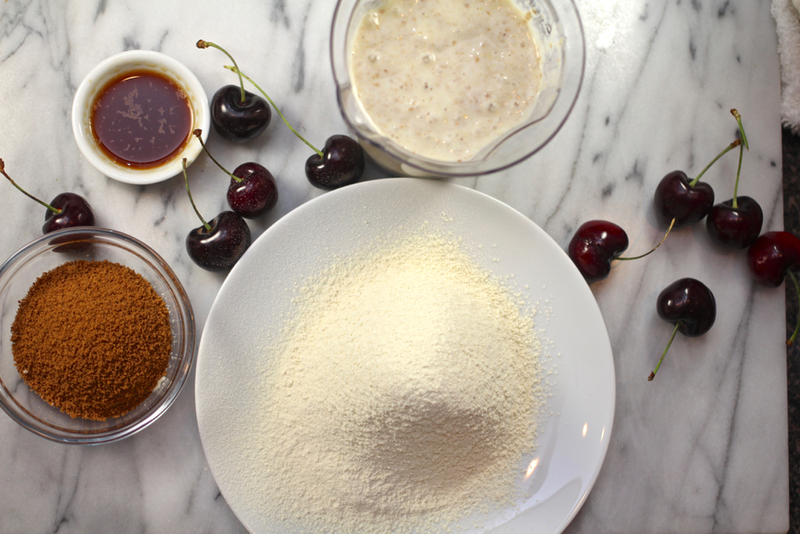 Mix together the dry and wet ingredients separately, before combining them together. This helps to reduce over mixing which can make the muffins tough. I noticed (because I don't really measure even when I follow a recipe) that the batter was a bit thicker than I wanted, so I added some maple syrup for that warm flavour and sweetness. 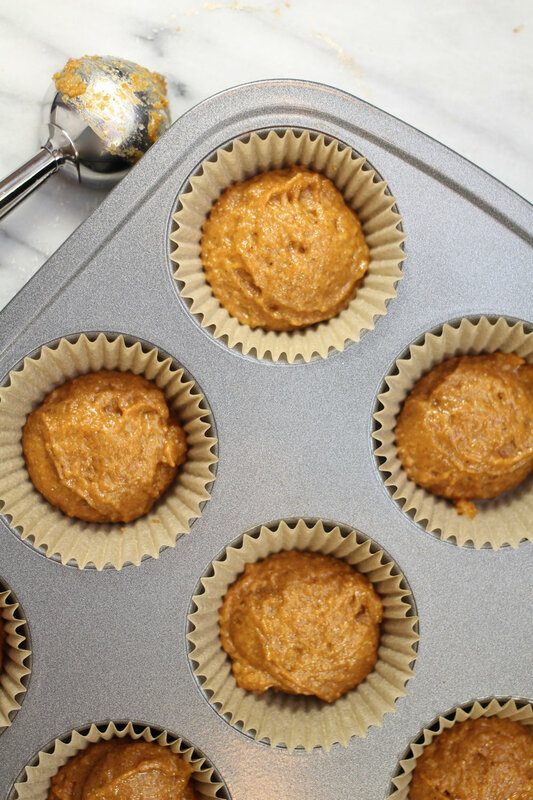 Scoop portions into a lined or greased muffin tin. 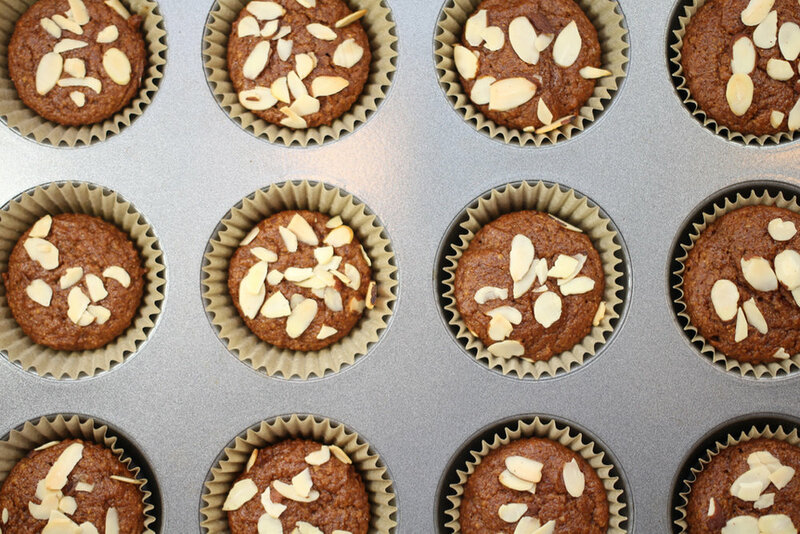 I wanted a bit of extra texture, so I sprinkled some flaked almonds atop each muffin before baking. Bake at 350F until the fragrance of autumnal spice fills the kitchen and wafts throughout your dwelling. Allow to cool before serving, or you'll burn your mouth like I just did. My favourite presentation is to split the muffin and sandwich in some vegan ice cream or CocoWhip. I'm celebrating with a fresh cherry clafoutis. Yes, it's French, but it's got the red-white-and-blue! 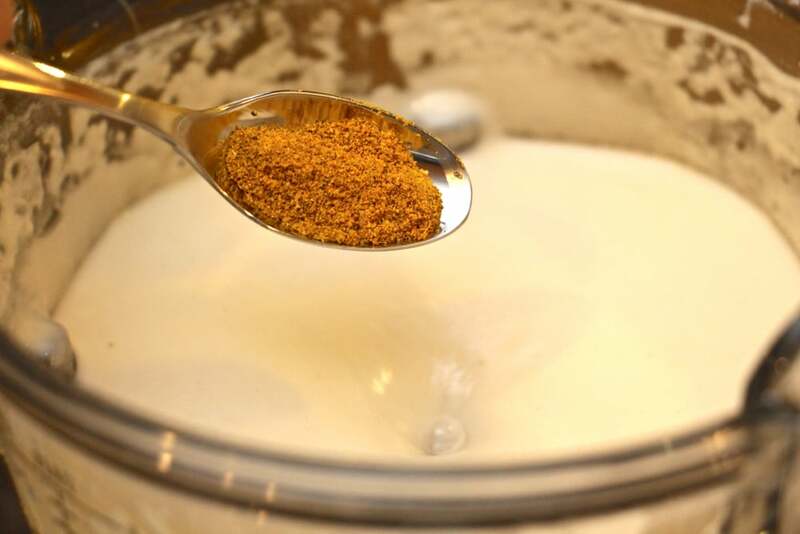 Start by blending a bit of flax seed and almond meal with a bit of soy milk. Keep blending until it thickens. (Clearly, this dish was a haphazard experiment, so a added to the original mise en place). Then, add enough soy mild to thin down the flax-almond meal mixture. Add to it, some sugar, a pinch of salt and some favouring (vanilla and lemon). 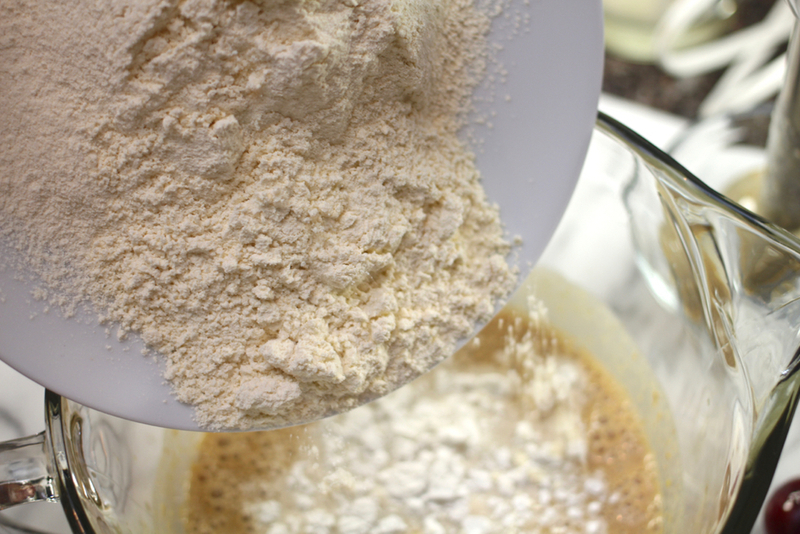 Add in the sifted flour. I'm used Einkorn flour because it's lower in gluten so it can be mixed without getting tough as easily. Stir it up thoroughly and add to a oiled skillet. I really like using fractionated coconut oil. It's tasteless and easy to work with. 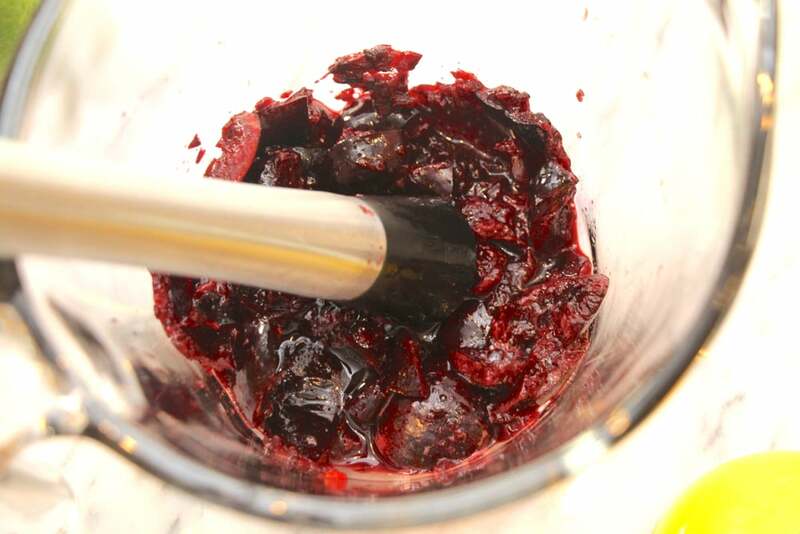 Lastly, arrange an assortment of ripe dark cherries atop the batter. Now, there's a difference of opinion regarding the fruit: some say, use whole unpitted cherries. Others advise halved, and pitted stone fruits. I decided to risk adding whole stone fruit to pastry. So, ya know, I may need a dentist before the weekend is over. Then, bake at 350˚F until the top is golden brown. 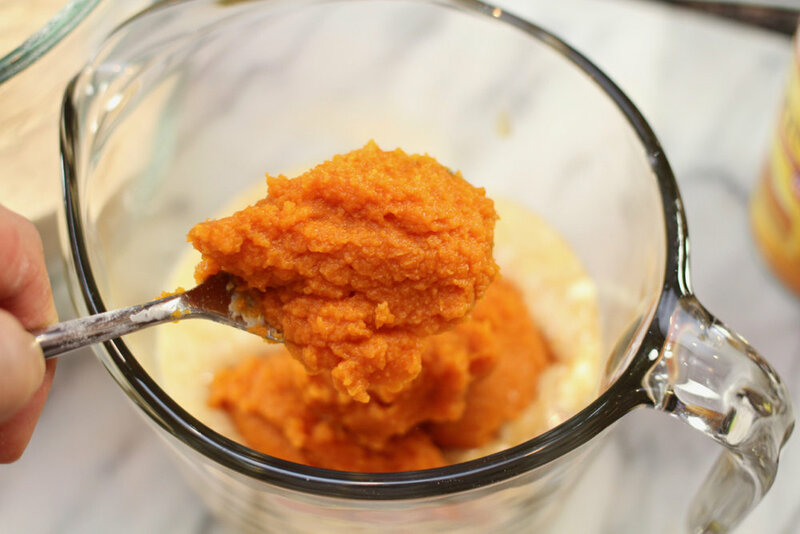 Serve with vegan whipped cream or ice cream. Garnish with mint leaves and blueberries. 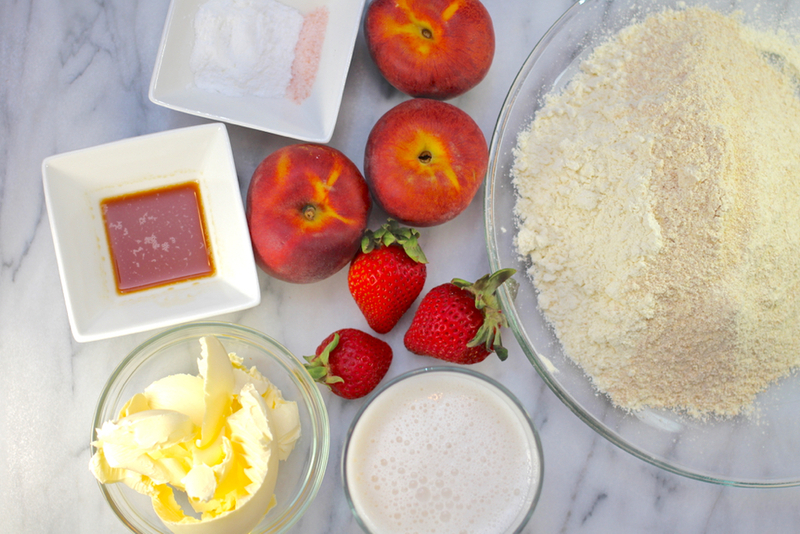 Enjoying the fruits of spring with sweet strawberries and fragrant peaches, served on warm einkorn shortcake. Einkorn is an ancient grain. It's a unique, tasty four. I whipped it into a buttery shortcake using a modified version of the biscuit ratio: 3:1:2 (flour:fat:liquid). I used all-purpose and fresh-ground einkorn (300g) and mixed it with a vegan buttery spread (80g). I used a "lite" version of the product which contained more water than fat, so it clumped when I cut them together. Then I added in the almond milk (200ml) and mixed thoroughly. 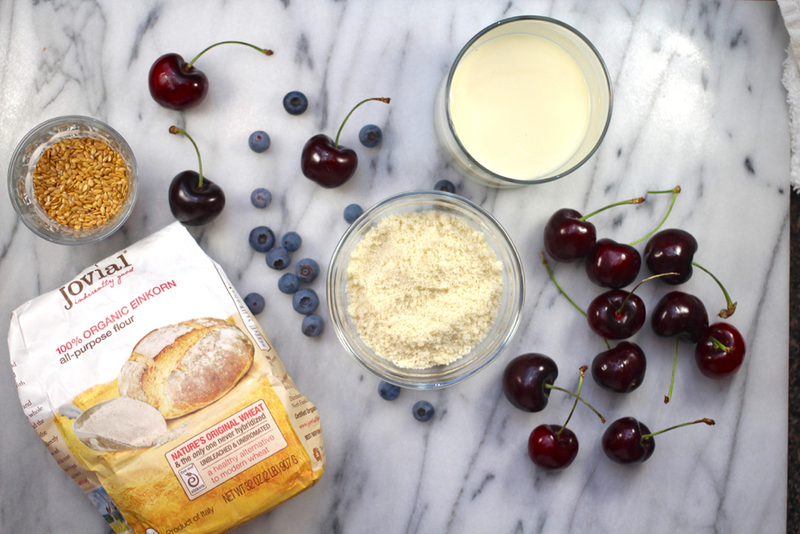 Einkorn has less gluten than wheat, so it doesn't tend to get tough when it's mixed. I piped the thick batter with a large star tip into a few small springform pans, and baked it for ~20min at 400˚F. While it's baking, I hacked up some strawberries and fragrant peaches. Saving a few for garnish, I smashed up the rest with some agave syrup, vanilla and a whisper of ultra gel for thickness. When the shortcakes were golden brown, I removed and let them cool for a minute before cutting them in half. Spoon on the fruit and enjoy! Vegan Cottage Pie topped with carrot an onion mash. Topped eith Irish colours, green, white, orange make this dish a perfect St. Patrick's Day treat. This dish was inspired by Donal Skehan. Subscribe to his YouTubes! Here's a vegan version of a classic dish. Start with lentils and fresh vege. Wash and let the lentils soak overnight. You can cook the immediately, but soaking allows them to cook quickly and uses less energy. When you're ready to cook, start out by dicing: carrots, celery and onion; quarter baby portobello mushrooms. 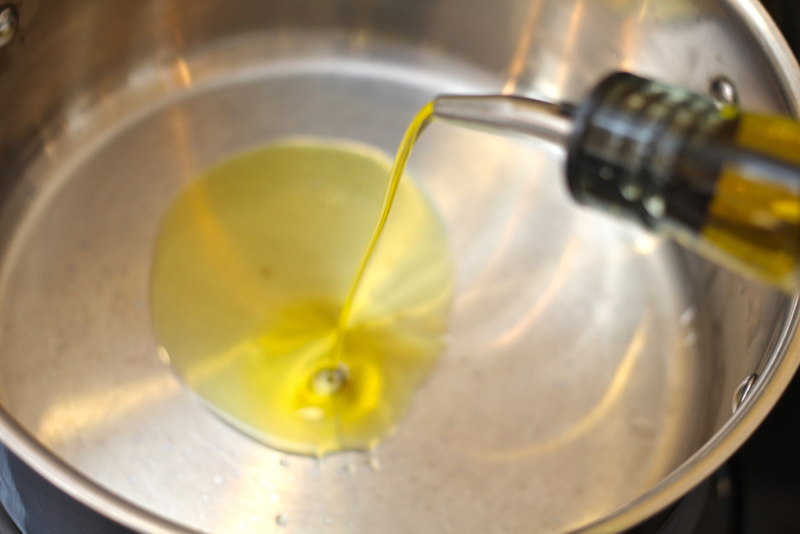 In a hot pan, add a glug of olive oil and sauté until they develop a golden brown colour. Remove them from the pan and add in the carrots, celery and onions; sauté until softened. The sauté process coats the bottom of the pan with brown gold called "fond." Unstick it by adding vege stock to deglaze - this releases all the complex flavour. 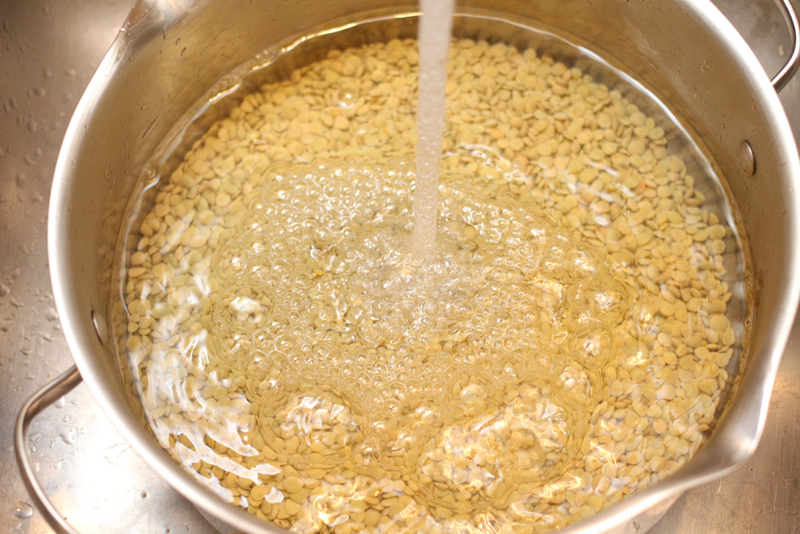 Continue by adding the soaked lentils and enough water to cover them by an inch. I also add a couple tablespoons of tomato paste for lots of that umami taste. Bring to a boil and reduce the heat. 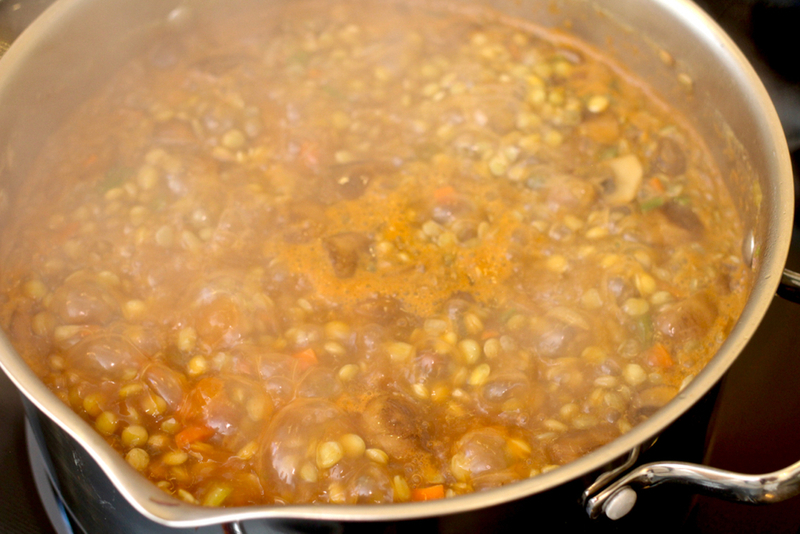 Continue to simmer until the lentils are fully cooked. Season it with a bit of salt and tamari. While the filling is simmering, peel and chop a few starch potatoes. Add them to salted water and boil until completely cooked. 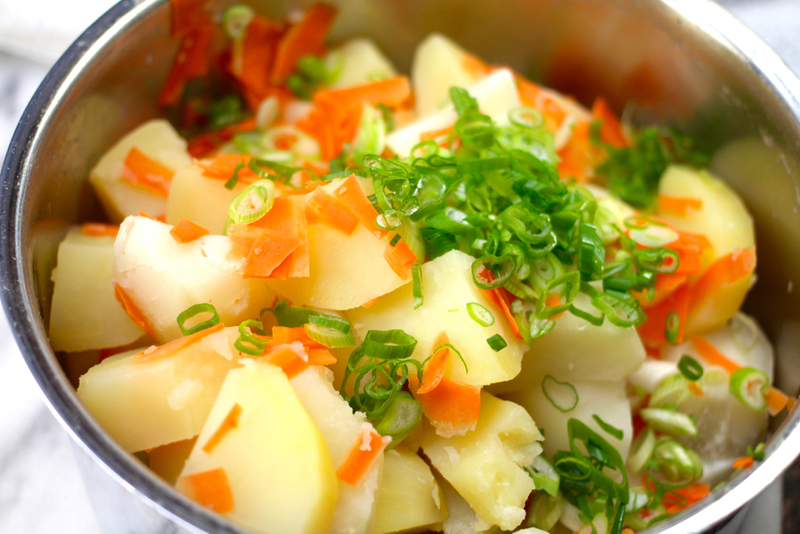 While the potatoes are boiling, chip about a handful of carrots and finely slice an equal portion of green onions. When the potatoes are done, add the carrots to the boiling water. This lets them soften, but keeps them from getting mushy. Remove from the heat, strain and coarsely mash. Add in the green onions, some (almond) milk and a healthy portion of butter (vegan butter spread) and mash out all the lumps - add more milk if needed. It should be spreadable, but not soupy. Transfer the lentils to an oven safe baking dish and spread them level. 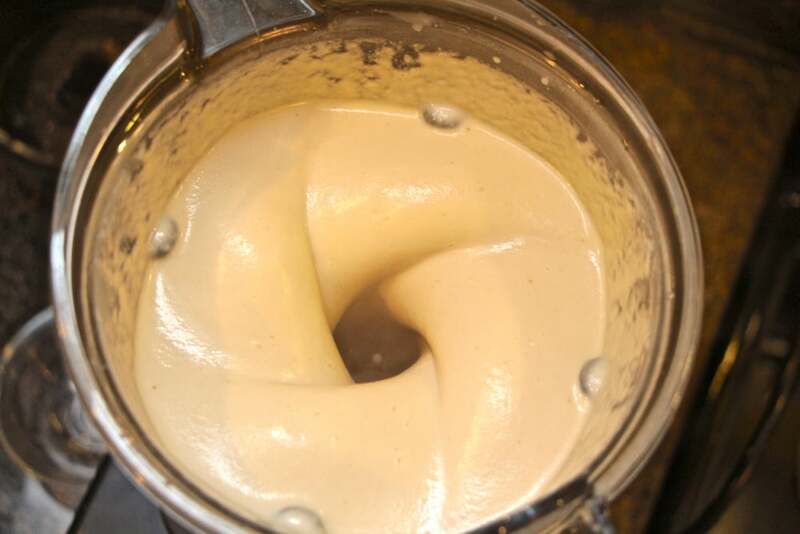 Fill a large piping bag with the mash and affix a LARGE star tip. Pipe the potatoes evenly over the surface of the lentils. Place into a cold oven set the oven to bake at 350˚F. The preheat cycle provides high intensity heat and browns the tips of the potatoes. It makes 'em so tasty. Continue to bake for about 20 minutes. Since all the ingredients are thoroughly cooked, it's only necessary to allow the flavours to mix and the potatoes to dehydrate a bit. Remove from the oven and allow it to cool slightly before plating. Garnish with fresh sliced green onions. I like to serve with blanched fresh asparagus for fresh flavour and that bright burst of green. Woah! It's been a while! I missed blogging so much. I'm still insanely busy, but I'm going to post something at least once a month. What better way to make an awesome Valentine's Day than to make chocolate cake!? I'm using a modified recipe from Joy of Cooking This is the Devils Food recipe. I substitute butter for coconut oil and Earth Balance; blended flax seed for eggs; and soy milk for butter milk. Mix the cocoa powder and the wet ingredients (except the milk and vanilla). Stir to ensure the cocoa has no lumps - then mix in the milk and vanilla. Add the dry ingredients and gently stir until incorporated. Don't over mix or it'll be tough. ... Well, I added more cocoa than the recipe called for and the mix was a little dry. So, I tried to blend in a little apple sauce to compensate. It worked. Then spread the batter into a parchment lined baking pan (9"x13"). Bake at 175˚C (350˚F) for about 25 - 30 minutes; until a toothpick comes out clean. 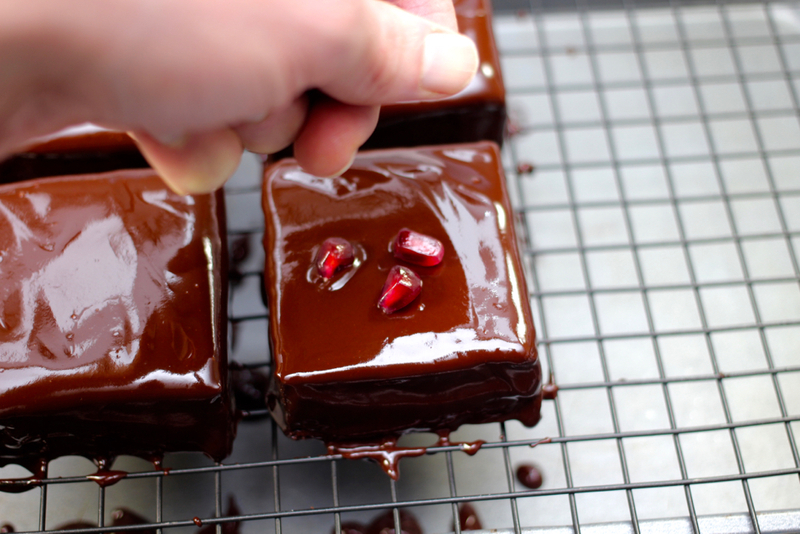 While it's baking, prepare some shimmering ganache and crack open a pomegranate. 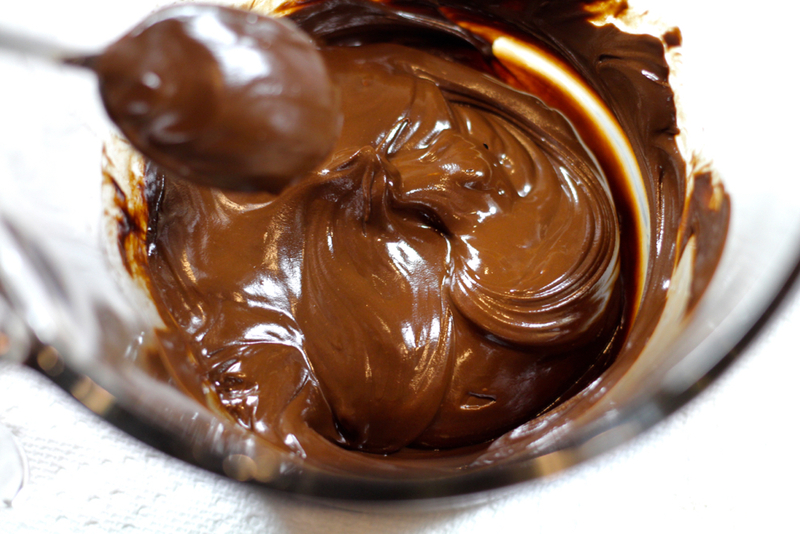 Ganache is easy: chocolate (or cocoa powder), fat (coconut oil and margarine), glucose (or light corn syrup) and vanilla. Allow the cake to cool and cut into squares. Why little squares? 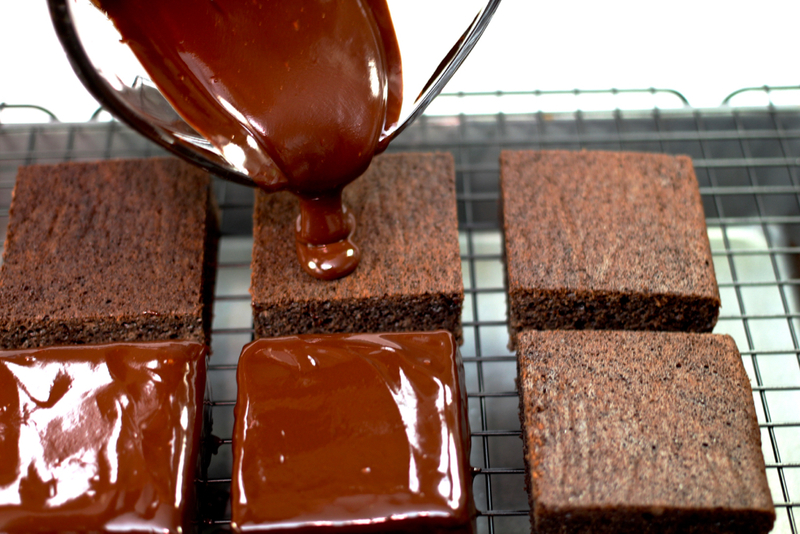 Because it increases the surface area, which means more hot ganache! 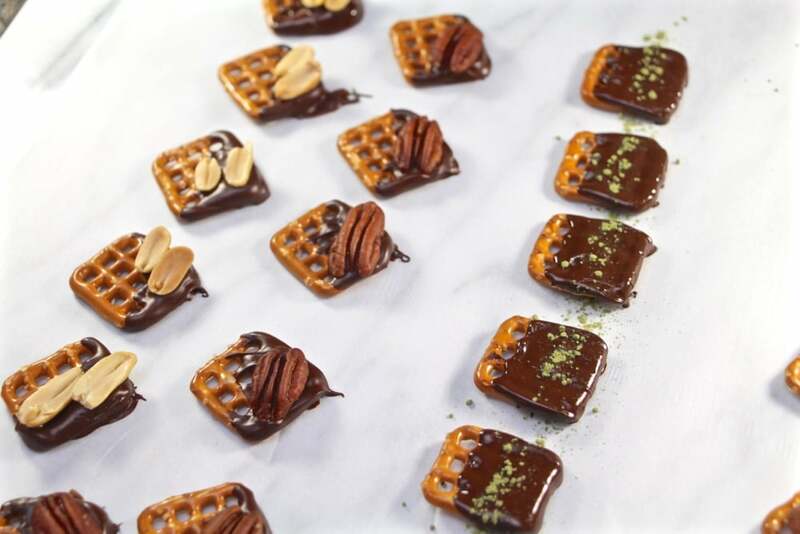 Place the squares on a wire rack and pour over that liquid chocolate. 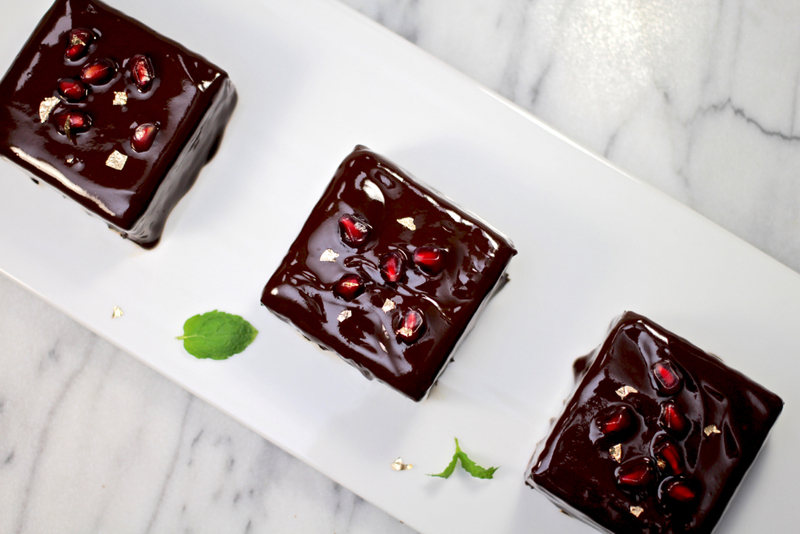 Then top with pomegranate arils and flecks of edible gold. Bam, it looks like like a million bucks! I get asked a lot, "What knives do you recommend?" I try not to get stuck on brands or particulars. Rather, I'll just show you what I use and why. I chose these knives after doing some research. I looked at what my culinary heroes use and read as much as I could. Thomas Keller gives the best advice, "Always buy the best you can" (or, the best you can afford). It'll last much longer as well as give great service in the kitchen. Often premium products are backed with better warranties, too. This is the first proper knife I got. Mac is not a widely available department-store knife. They're knives for chefs. This is my go to knife in the kitchen. Mac Knife Professional Chef's Knife 8"
Just finished sharpening my knives. This is a Mac Knife - it was my first proper chef knife and I love it. The grapes stand no chance. Also a fierce workhorse, my Global vegetable cleaver. This is great for chopping/cubing/dicing. The rectangular blade reduces the range of motion and helps keep the knife perpendicular to the cutting surface. 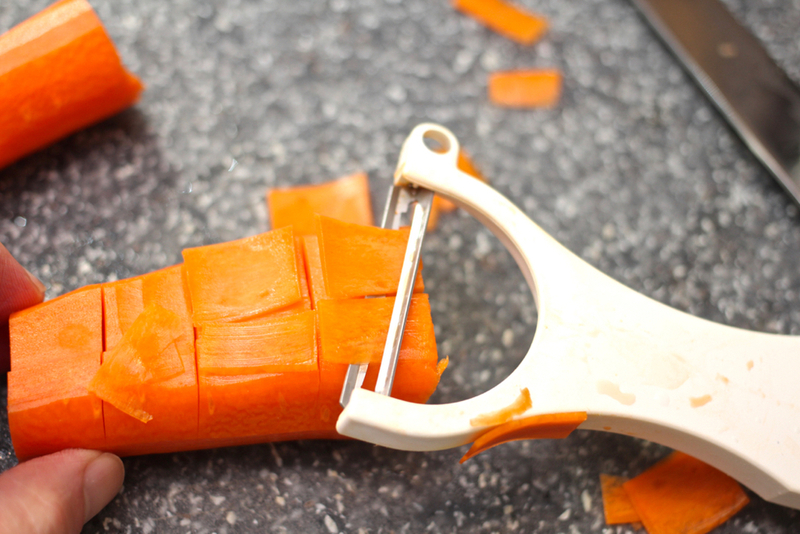 It's also handy for scooping up the vege after chopping. This isn't great for breaking down or trimming vegetables - or anything that requires deft mobility. All the same, it's razor sharp and keeps the edge well. I met another chef who introduced me to Misono knives. I was very hesitant at first. This knife has an asymmetric edge. 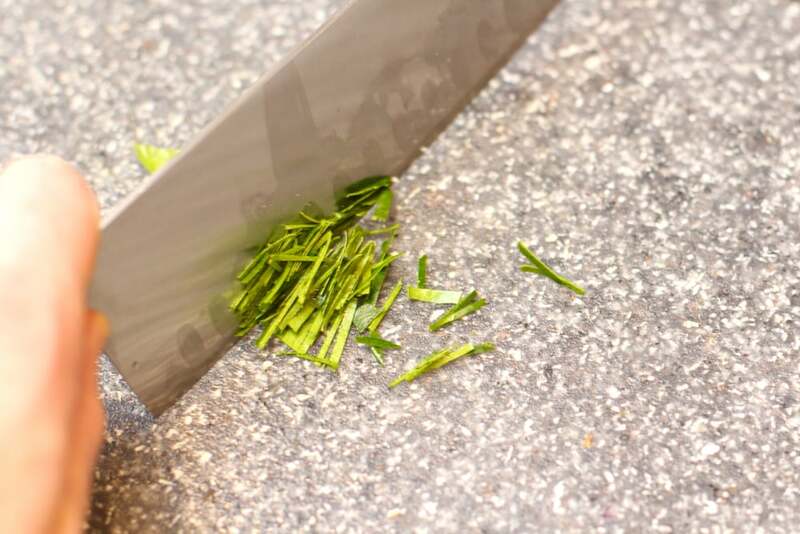 It's more tricky to sharpen, but it's uncommonly sharp. I find myself using this knife a lot despite the fact that the handle is not as comfortable as I'd like. I really like it because it's fairly small. At 7" it's easy to maneuver and perfect for small batches. 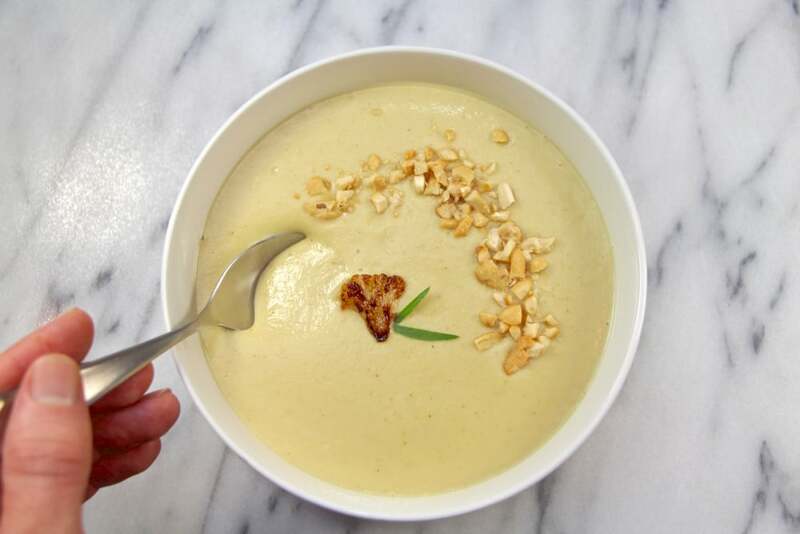 A warm curried cauliflower soup is the perfect thing for cold gray days. I first tried a curried cauliflower soup at a restaurant called Greens. It's a wonderful vegan-friendly place where all the dishes are elegant and served with panache. I whipped up an easy Vitamix soup in recollection of that tasty meal. Start by roasting the florets of a cauliflower and a medium starch potato. I like to drizzle with a bit of olive oil and place in the cold oven. Then, allow the oven to preheat to 400˚F and continue baking until the potatoes are cooked through. 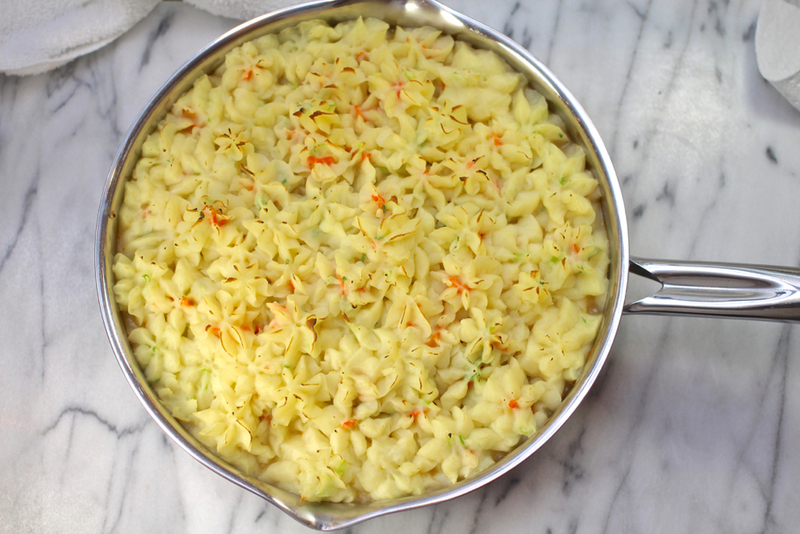 This method causes nice browning on the cauliflower and potatoes. While thongs are roasting, dice and sautee a red onion in olive oil. Serve garnished with chopped roasted cashews and tarragon. 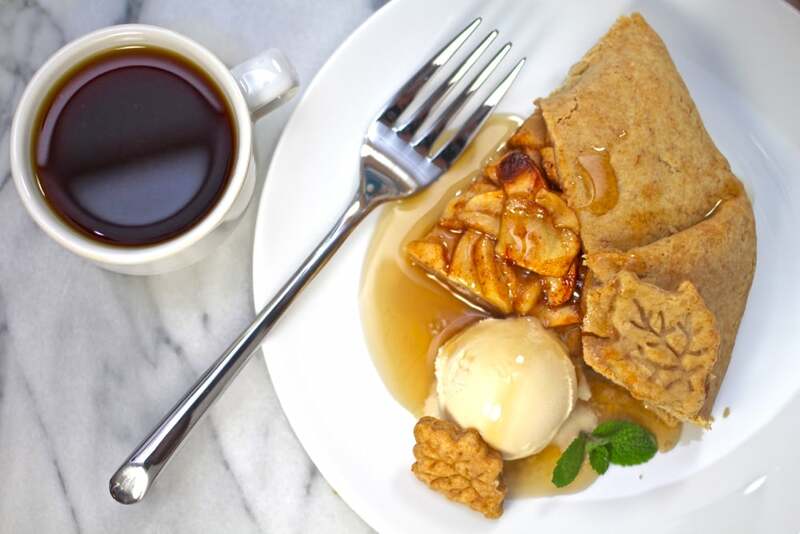 This is the easy version of pie; galette! It also has a higher crust to filling ratio. 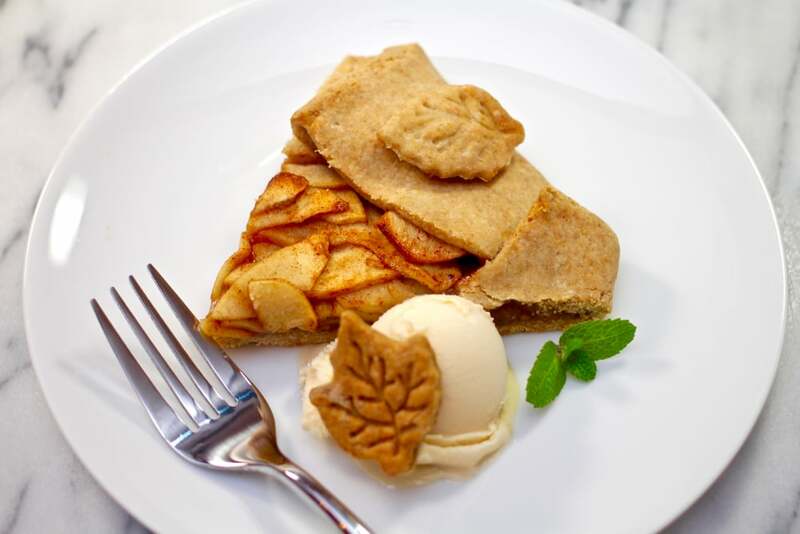 So, if you love pastry and hate the work required for pie, this is the dessert for you! 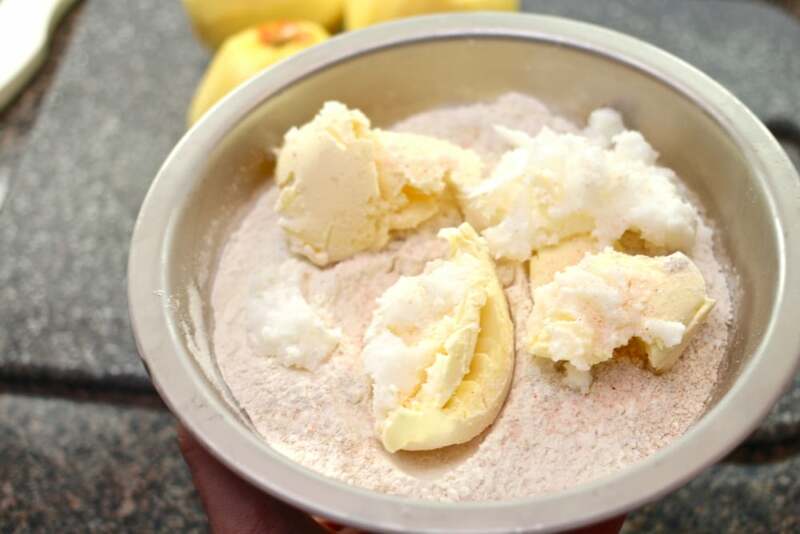 Start with the pastry ingredients: flour, fat and ice water (and a pinch of salt). I use the 3:2:1 ratio 300g flour; 200g EarthBalance and/or coconut oil; 100ml ice water. Combine the four, salt and fat in a food processor and pulse until combined in a bread crumb consistency. Then add in the water and pulse just until combined. Scoop out the dough and press it together in a flattened-ball. Refrigerate for 15-30 minutes. *Coconut oil sets up completely ridged when refrigerated, so getting the temperature just right can be tricky. 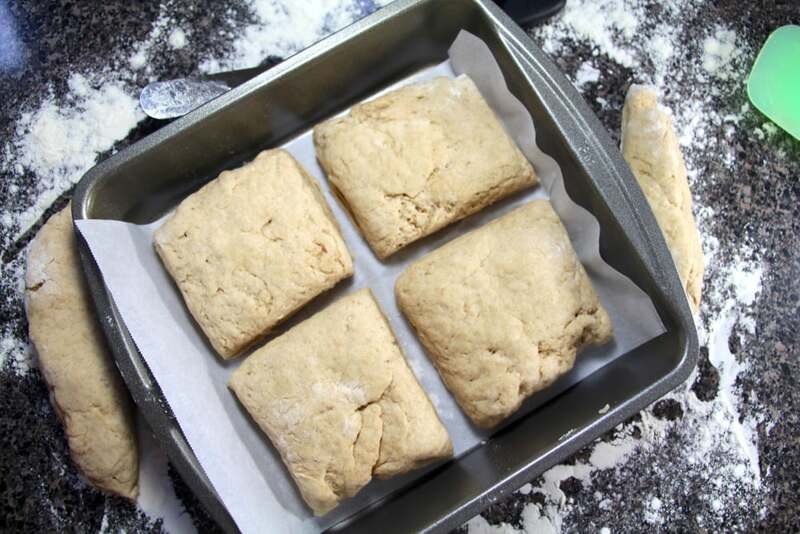 Using More EarthBalance can make the dough more workable while it's cold. 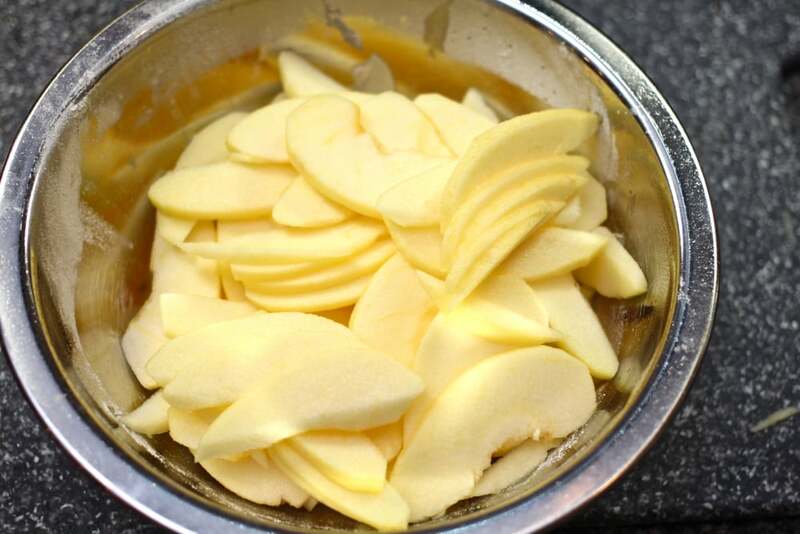 While the dough is resting in the 'fridge, peel and thinly slice two or three medium apples. 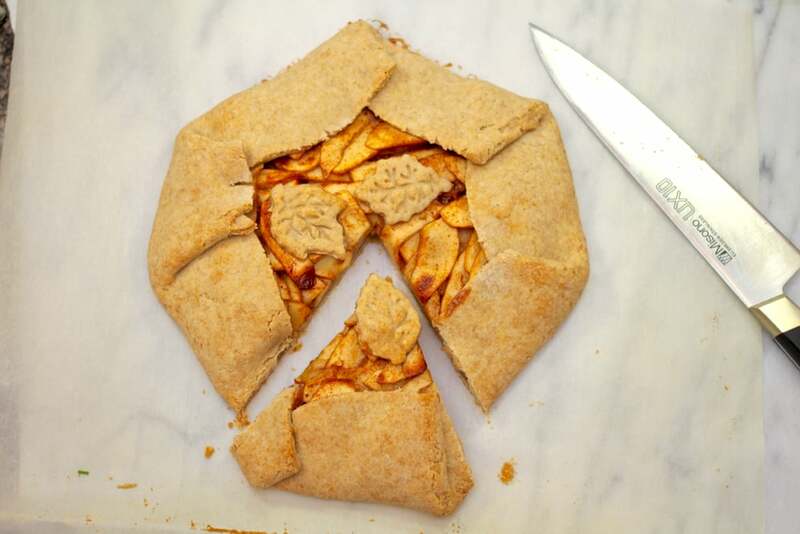 I used two apples because I really love the tasty pastry - I wanted it to be almost equal in portion to the apples. Mix the really tasty parts: the sugar and spices. I like brown sugar and cinnamon to be the primary flavours, but a dash of salt, a bit of nutmeg and vanilla bean created a sublime rounded flavour. I also used a bit of granulated sugar and cornstarch to help gel any runniness the apple juice might create. 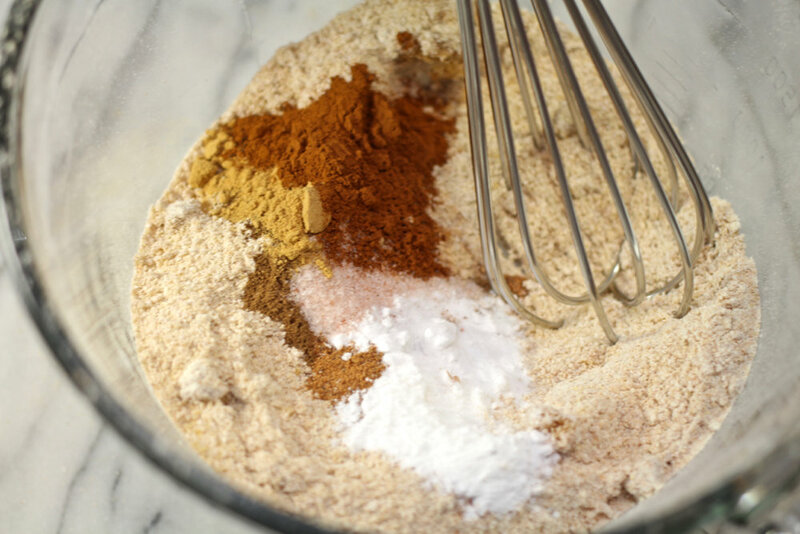 All of this, of course is based on your palate: I use about 1/2 cup of brown sugar; 1/4 cup granulated sugar; 2 teaspoons of ground cinnamon; a pinch of nutmeg and a pinch of salt. One teaspoon of cornstarch/cornflour and a splash of vanilla work well, too. I prefer vanilla bean, but, ya know, whatever you got works. Roll out the dough on a floured surface and - this may be "controversial" - trim the edge. Most galettes are rustic - that's their essence. All the same, I like a tidy edge. I also like to sprinkle a bit of oatmeal on the pastry before adding the apples to make double sure that the juice from the baking apples gets absorbed, rather than making a soupy mess. Evenly pile the apples across the dough, leaving an inch or two for folding space. Then carefully work around the circle of dough, folding a few inches inward until the edge is fully formed. How much dough is used for the fold-over is a personal choice. Again, I like that chunky pastry so I fold-over a lot! I keep seeing all my heroes on the Instantgramz using stamped and cut dough. So, in my attempt to be like the cool kids, I got these autumnal dough stamping/cutter combos. Bake at 350˚F until the apples are soft and the pastry is browned - about 30-45 minutes. Allow to cool and dig in! I like to serve mine with nondairy ice cream. To add a whisper of extra sweetness, drizzle with a good maple syrup. This is some of my favourite soup. The first time I ever tried Thai soup is very memorable. I was traveling and had settled for my regular pad thai dish at the restaurant. Then, on a whim, I decided to try Tom Yum soup. I was in a different place seeing different things and I'd adventured out to try different food.You see, I didn't always love food adventures. I was very slow to embrace new cuisine. So that night, ordering that hot and sour soup, I began my journey into food exploration. I never would've guessed that a few years later, I would actually have the opportunity to visit Thailand and Tom Yum soup would be considered regular faire - even so, my comfort food. I like Thai food so much that I actually cultivate the spices: kefir lime, lemongrass, ginger, Thai chili peppers, Thai basil and garlic. You see, there's only so much curry paste can do for you. 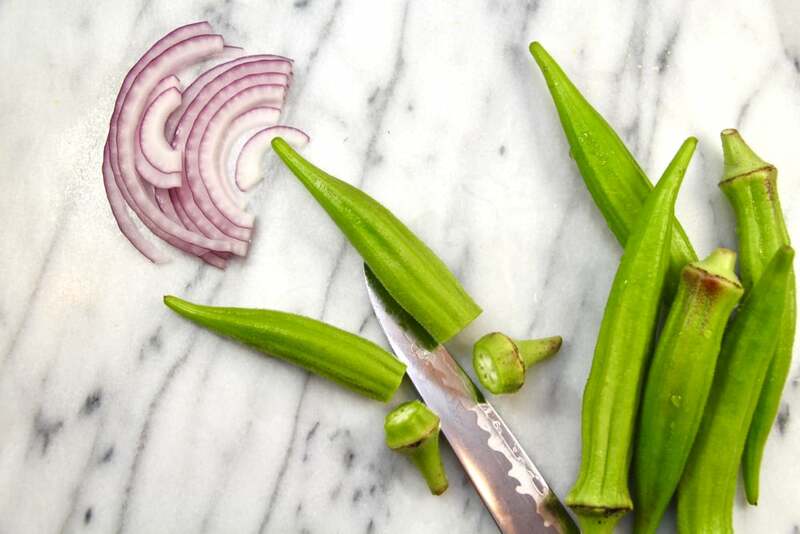 To get authentic Thai food, you need to have access to the freshest ingredients. Tom kha is slightly different than tom yum. 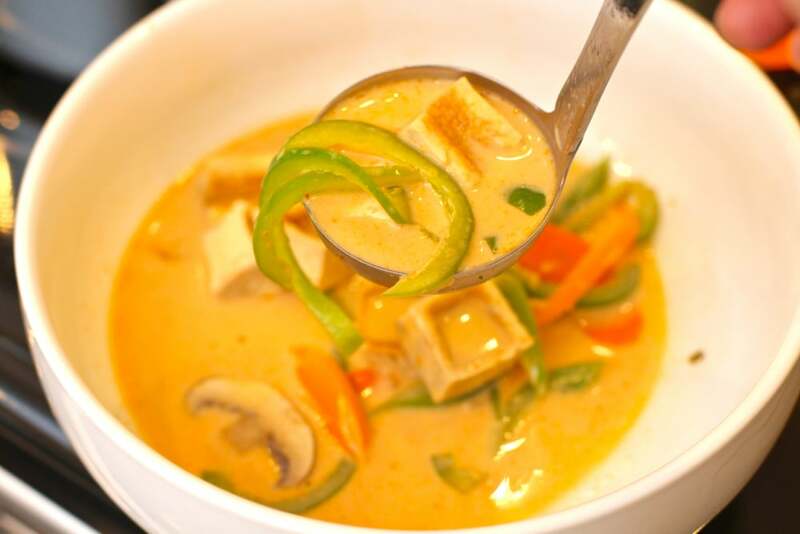 Where tom yum is bright and acidic, tom kha it's made with coconut milk and has a mellow sweetness to offset the lime juice. Start by frying a bit of tofu. I find it's the quickest and easiest way to fry up tofu using a waffle maker. It works best in a locking waffle maker. Simply halve the block of tofu, coat with a bit of cooking spray and place the tofu in the cold waffle iron. I find mine works best by placing on the highest setting, your mileage may vary. Of course, you can always fry it in a traditional skillet. Then, mince garlic, ginger and onion. Add them to a hot pan with a bit of coconut oil and sauté until they've just begun to color. Then, add a bit of tamari sauce. I also like to add sriracha sauce and red curry paste. Pour in a few cups of water and coconut milk. Remember, this is a soup rather then a curry, so it will be slightly thin. Add in a couple stalks of bruised lemongrass and finely minced kefir lime leaves. Simmer for a few minutes to let the flavors infuse. 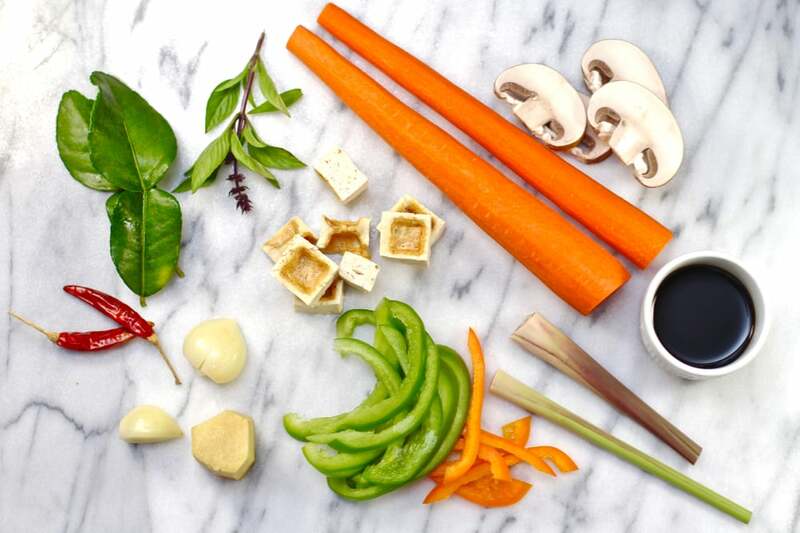 Then, add sliced carrots, bell peppers, sliced mushrooms and the tofu. I like to coarsely dice the tofu so that there are some good meaty chunks. Also oyster mushrooms, if they're available, are absolutely delicious in this dish. Remove the soup from the heat to keep the vegetables from turning mushy. Finally, add a shot of lime juice and give it a good stir. Serve the soup garnished with fresh Thai basil leaves. I also like to add a bit of ripe tomato to add to the brightness. This is become one of my favorite dishes, and I hope you love it too. I have been sick... for a while. This is a soup my grandma used to make for me. We always called it Irish stew, but it's really a very simple, five ingredient, soup. I haven't had this dish in years. Start out with about 4-6 medium potatoes and a medium yellow onion. Peel and chop the potatoes. They don't need to be perfectly cubed or diced. Grandma kept them coarsely chopped - kinda rectangular pieces. Dice the onion fairly finely - no big chunks. Add them all to a large pan and add water and salt. The water should cover the ingredients with at least an inch of water. Start with a modest amount of salt to keep things evenly seasoned. 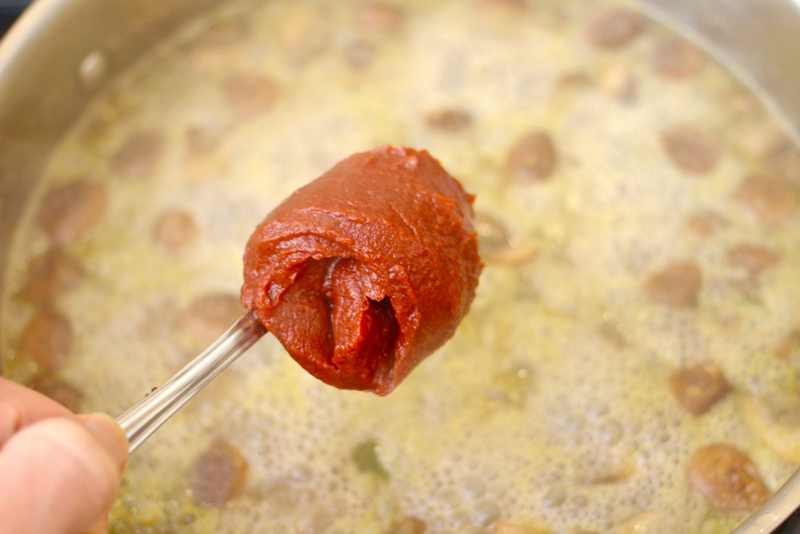 Boil until the potatoes are fully cooked and tender. Before serving, be sure to adjust the salt to your preference. 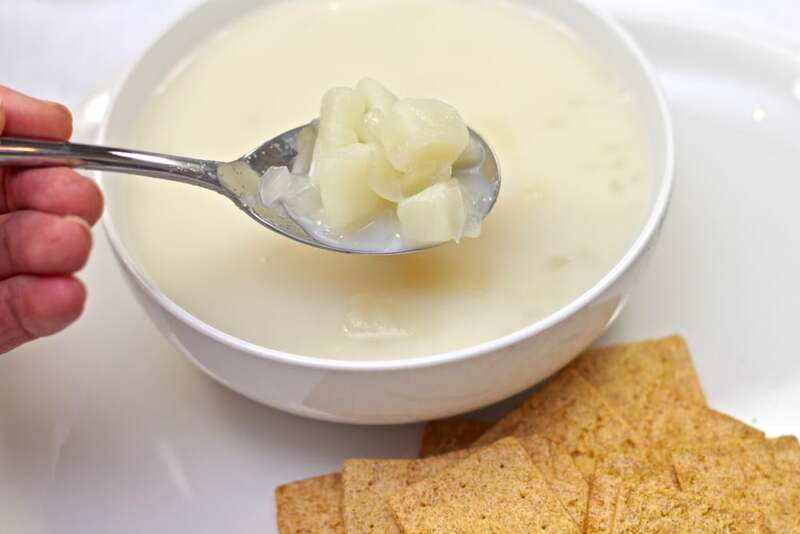 Grandma used to add evaporated milk when serving the soup. But, that would turn my insides into outsides, so, I use almond milk. She would serve it with her homemade bread. This is the type of food I grew up eating; simple, ungarnished, unadorned, comforting food. 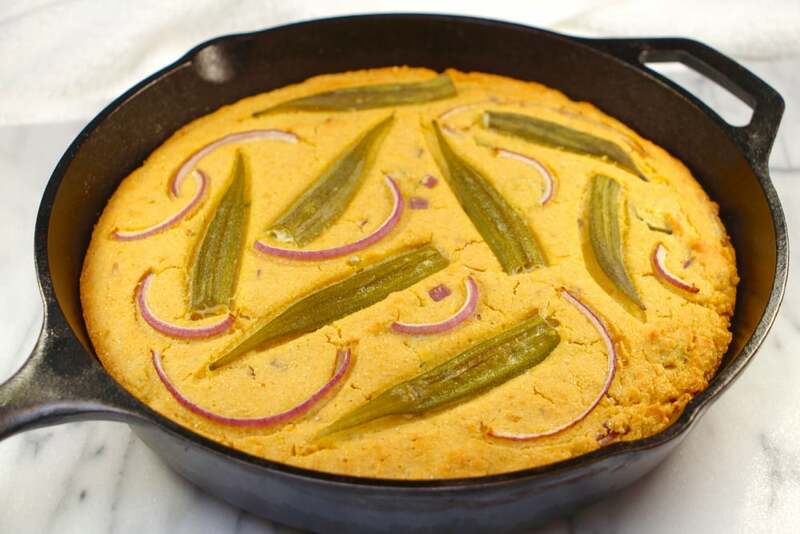 Combining two things I like: savoury cornbread and okra. So often, cornbread is sugary or bland. I like to make it flavourful and savoury by adding diced onions. I also like to grind my own organic cornmeal. I find that popcorn gives a subtle, unique flavour. 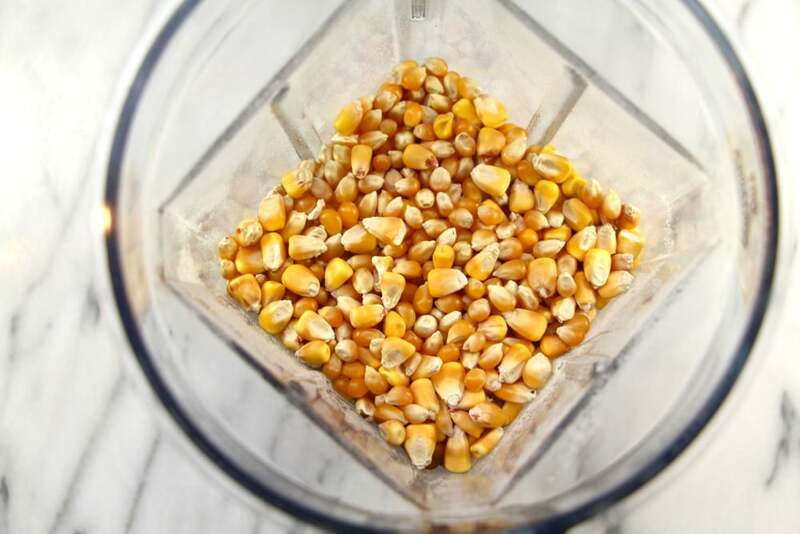 In to the Vitamix grinder jar, I add equal portions of popcorn and yellow corn, along with a bit of flax seed. Flax helps bind the bread to prevent crumbliness. Grind the corn according to the grinder instructions - or, ya know, just buy cornmeal. It'll be a little different, but it's still going to taste good. Sift the cornmeal to get rid of any chunks. Then add things to make cornbread: the baking soda, salt, a bit of olive oil and liquid. You can add water, but I like to use almond milk. 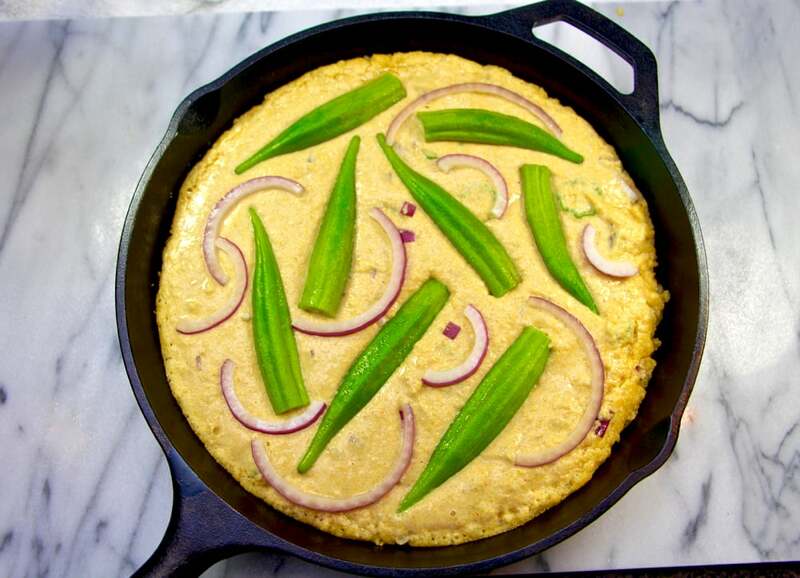 To take this beyond plain cornbread, add in diced onions and sliced okra. Add it all together. Mix it all up. The thing about cornbread is it's forgiving. 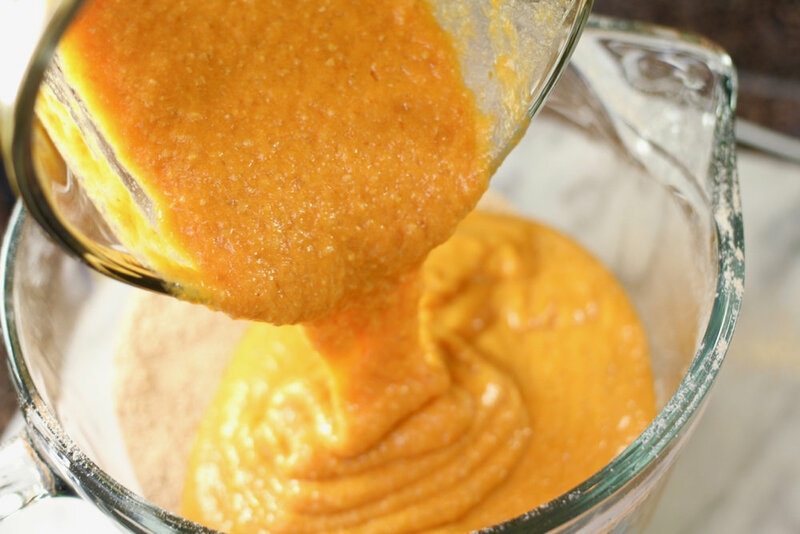 There's no gluten to toughen, so you can make adjustments and keep mixing. 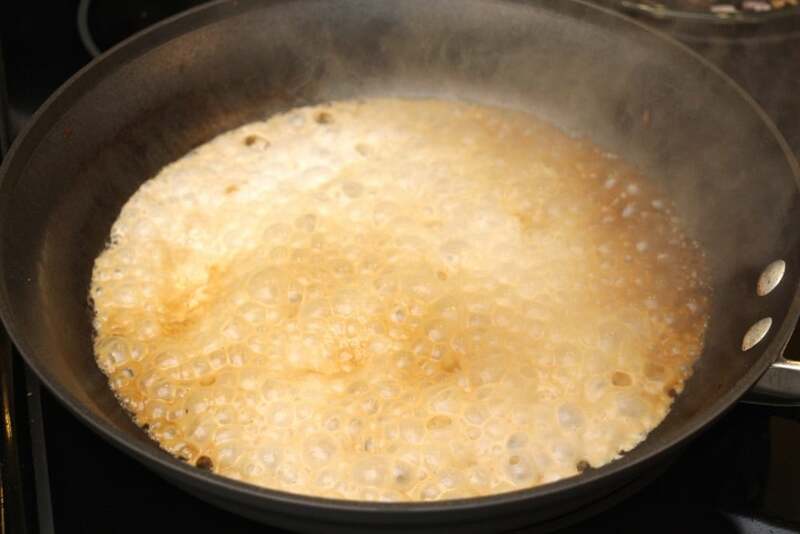 After the pan is hot, remove it form the oven and add a glug of oil. Carefully tilt the pan around so that the oil covers the entire bottom and some of the sides. It's important to add the oil after the preheat to minimize smoking. Pour the batter in the pan and place it (almost) immediately in the oven. I added a bit of garnishment - halves of okra and slices of onions - to the top. Bake until the top is golden brown ~25 minutes. When it's done, invert the pan over a plate. Leaving anything in a hot cast iron pan will cause it to continue cooking past the optimal point. After touring Thailand, I'm addicted to Thai food. I mean, I was before, but now it's a daily kinda addiction. It's just so flavourful and so easy to make vegan and/or gluten free. 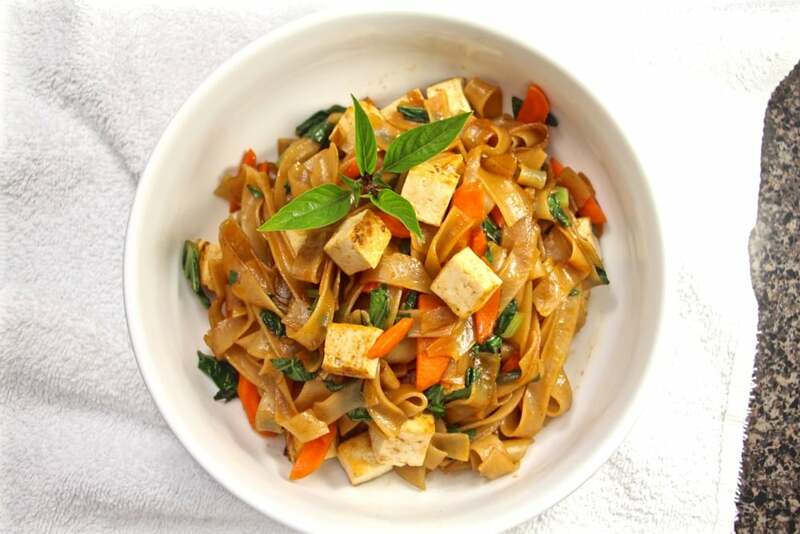 Lots of fresh veg and tofu make this a plant-based delight. First, saute the tofu - about 10-15 minutes on each side - and set it to cool. It's kinda tricky to dice when it's wobbly and searing hot. In the same hot pan, saute a medium onion and bell pepper. When they're translucent, tip them out of the pan. Keeping the same hot pan, add a couple cups of chopped green beans. I prefer long beans, but I couldn't find any I liked at the market. So, I used "French style" beans, whatever those are. I like to get the pan quite hot and put a nice sear on the beans. When they have a few specks of brown, put them with the onion and pepper. In the hot, hot pan quick sear some diced portobellos. Again, add them with the other cooked ingredients when they have a bit of colour development. Add the sauce to the hot pan and allow it to settle for a moment, then add in a pile of bean sprouts and turn off the heat. Add in the, previously set aside, vegetables and mix thoroughly. Add the diced tofu and a big handful of Thai basil. Give it one final stir. Plate it with a nice portion of rice. I like to use black Thai rice mixed with Jasmine rice. Baklava is a delight, but it takes a while to get all the layers put together. This recipe doesn't completely eliminate the hassle of laminating the filo dough, but it reduces it by 50%. Start by melting down a portion of refined coconut oil. 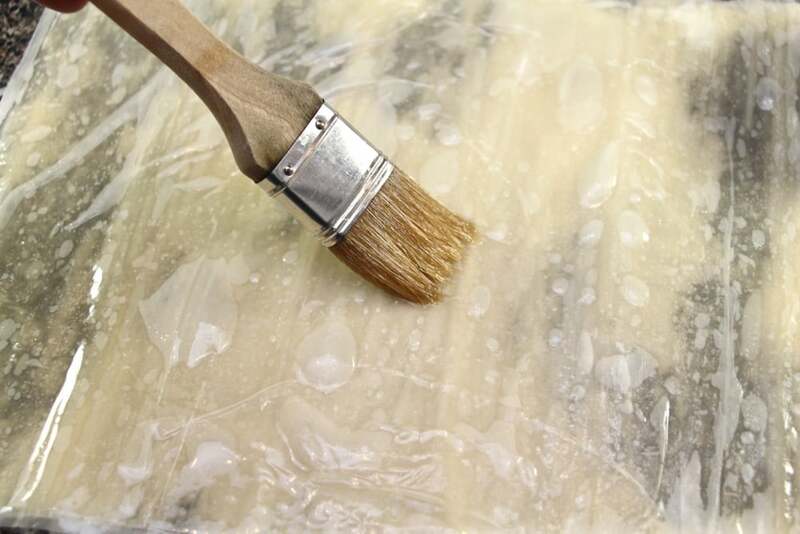 Take a sheet of thawed filo dough and brush it with the melted coconut oil. Repeat, ya know, about a dozen times. 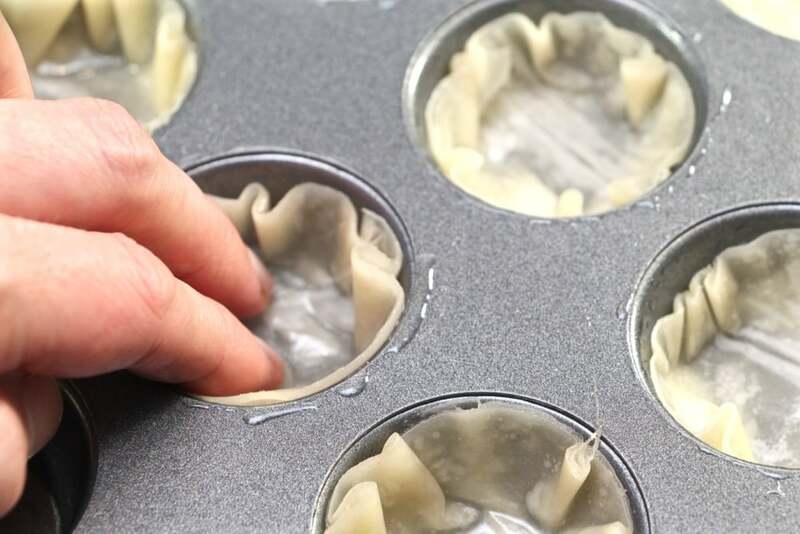 Then, using a small cookie cutter, cut circles of dough and press them into a mini-cupcake tin. To prepare the filling, start by coarsely chopping equal portions of pistachios, almonds, walnuts and pecans. Add a pinch or two of salt to counterbalance the sweetness of the syrup. Place a spoon of the chopped nuts into each cup. Bake at 180˚C (350˚F) until the shell is golden brown. 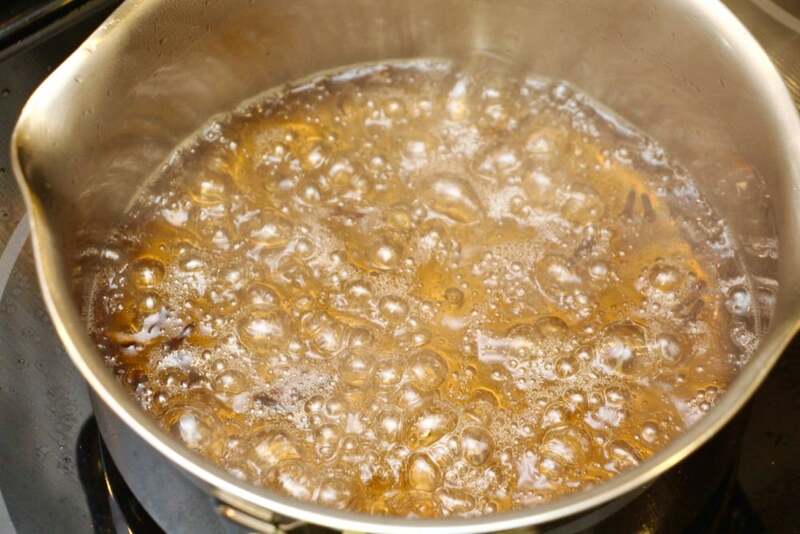 Then, prepare the syrup by adding turbinado sugar to a heavy medium-sized pan. Add to that, 25% by mass, water (25mL water for each 100g sugar). 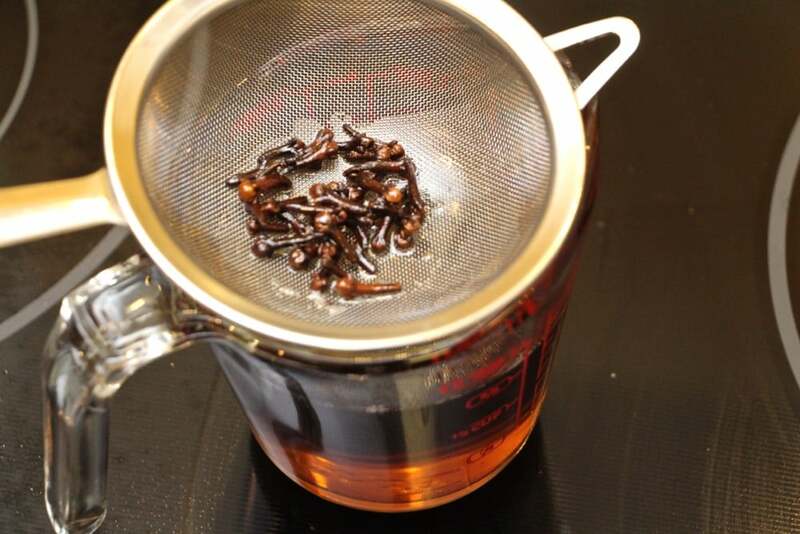 Then add a few cloves, a cinnamon stick and a whisper of orange blossom water - or - rose water. Bring to a boil and ensure all the sugar has melted. Then strain out the cloves and cinnamon stick. * The syrup needs to be hot when it's poured on the tartlets, so be sure to keep it toasty. When the shells have reached that perfect golden brown colour, remove them from the oven and immediately pour a bit of syrup on each one. It should basically cover the chopped nuts, but it shouldn't drown the pastry. About a tablespoon should be enough. Allow them to cool and carefully remove them from the muffin tin. 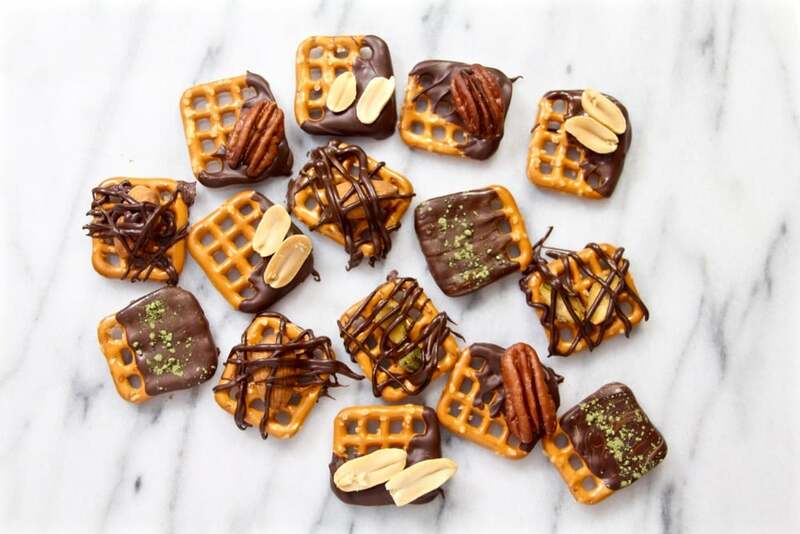 Enjoy these with a piping hot cup of coffee. This is one of my favourite dishes. It's so flavourful and it's carb heavy :) First, this isn't totally authentic. Fish sauce plays a major role in Thai cooking. I like to substitute tamari sauce - its vegan and gluten free. Start with wide rice noodles. Soak them in warm water until they're rubberband-like. They should be flexible and have a bit of stretch. While they're soaking, fry up some extra-firm tofu. It's not essential to fry it, but it keeps the tofu from crumbling so much. Also, fried food is delicious. Then mix up a seasoning blend. I use: tamari, tamarind, palm sugar, a whisper of red curry paste and some coconut milk to keep it all liquid in the pan. I experimented with black soy sauce in this dish. It's basically soy sauce with molasses. It's tasty, but contains gluten. If that's a deal breaker for you, skip the black soy sauce in favour of tamari and a smidgen of molasses. Add the seasoning and coconut milk mix to a hot pan and drop in the noodles. Stir it, jostle it, shake the pan a bit. 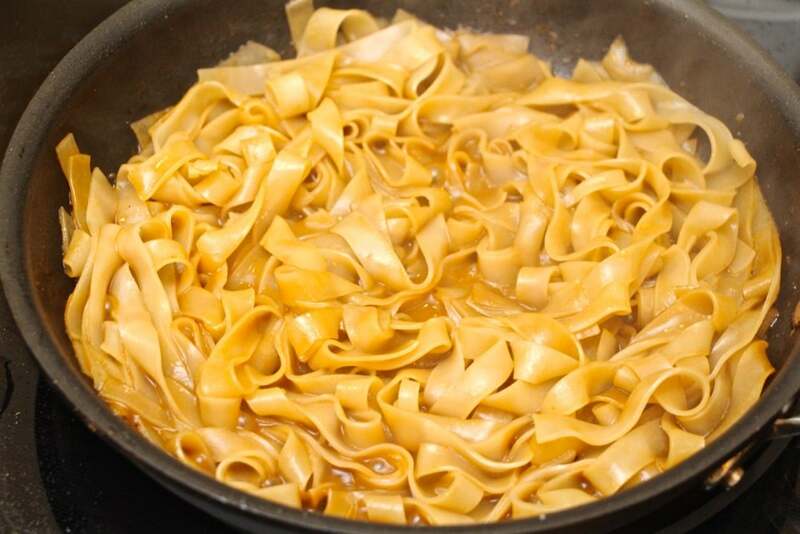 Be sure to keep the noodles moving to prevent them from clumping. Coconut milk is high in fat and it helps keep the noodles moving. When the rice noodles are starting to get tender, add in some chopped vegetables. I use bok choi, green onions and carrots. Continue to cook until the vege is slightly cooked - it should still have some bite; not at all mushy. Finally, add the tofu. Adding it last will keep it from getting smashed and crumbly. 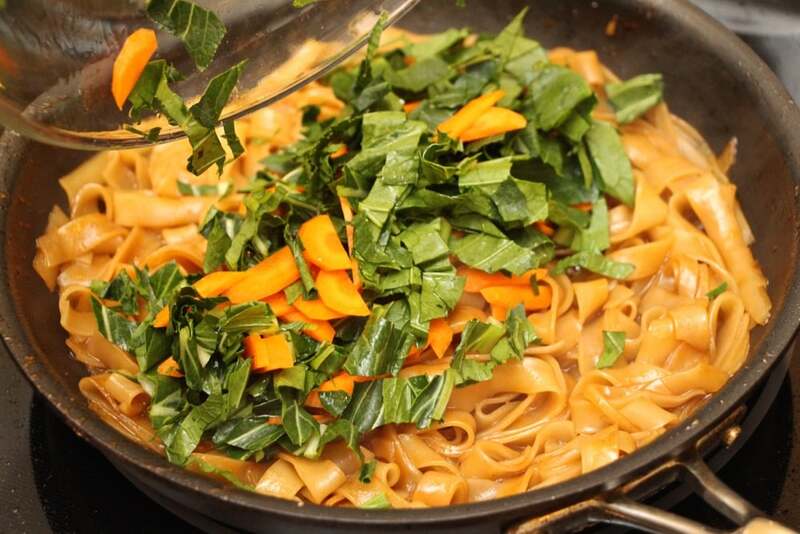 Give it a final stir and plate it up with some fresh Thai basil. Recently, however, I've been so very busy that there wasn't time to cook, much less, write. And, even though Instagram and Twitter are easy, there's just no time to post - even less time to interact with you, the audience (mom). Also, if you follow along on the instantgramz, you know I started teaching. I'm thrilled; it's a dream come true! All the same, curriculum development and class management are so time consuming. And, my full time job takes priority over my blogging. It's disappointing to run into your limits. But, a full life results in discovering your limits. As much as I don't like to "be personal" on the blog, I want to share this part of my story. 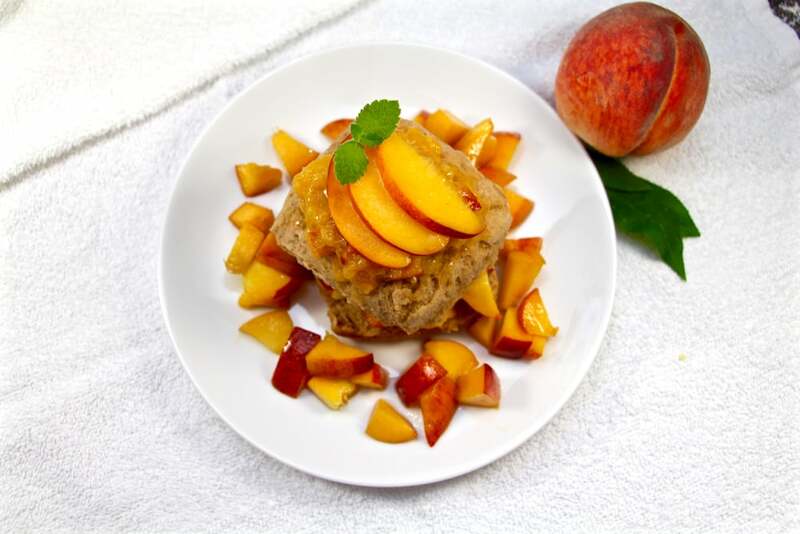 An adaptation of strawberry shortcake, this dessert captures the fragrant nature of ripe peaches. Using the biscuit recipe outline found in Ratio, I made the dough from spelt and white flour, coconut oil and almond milk. I enhance it with little sugar, vanilla, cinnamon and nutmeg. I like to prepare the dough in a food processor. It's quick, but can overwork the dough. Just be sure to agitate the dough as little as possible. I take the easy route and cut the dough into squares. Bake on parchment paper at 400˚F until golden brown. 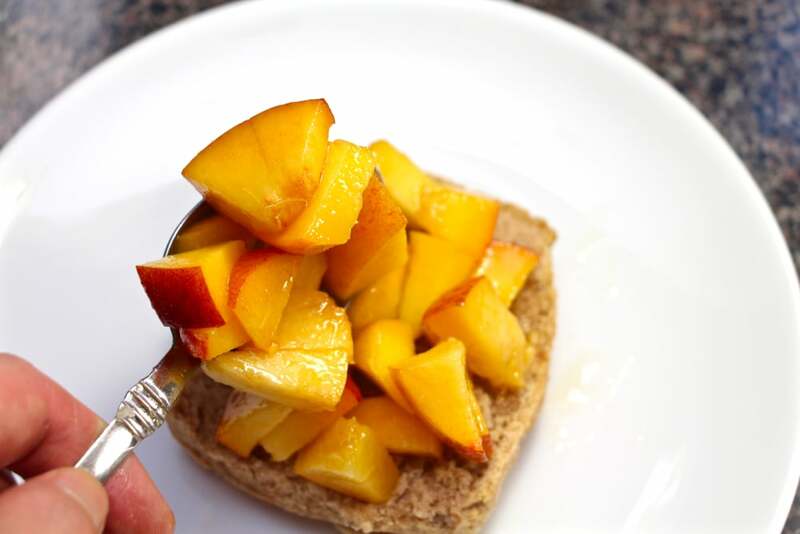 While the pastry bakes, prep the peaches by chopping about 4 medium-large peaches. 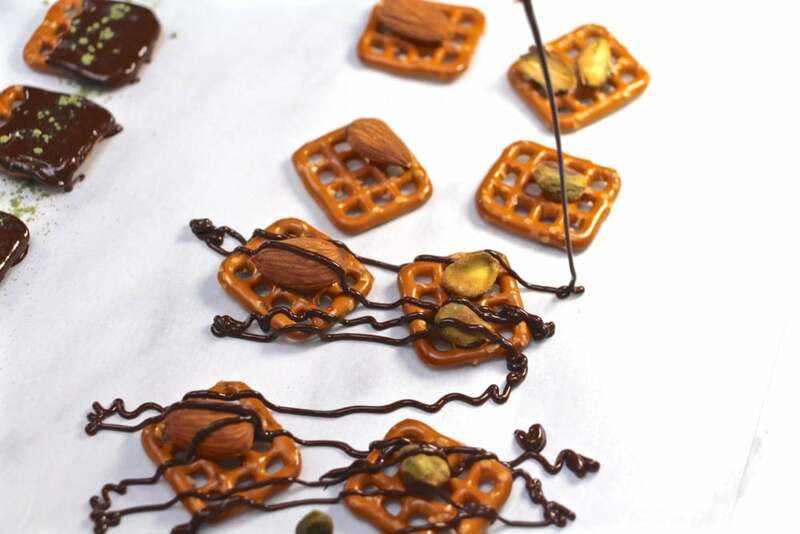 Simply sprinkle them with castor sugar and mix until all the pieces are coated. 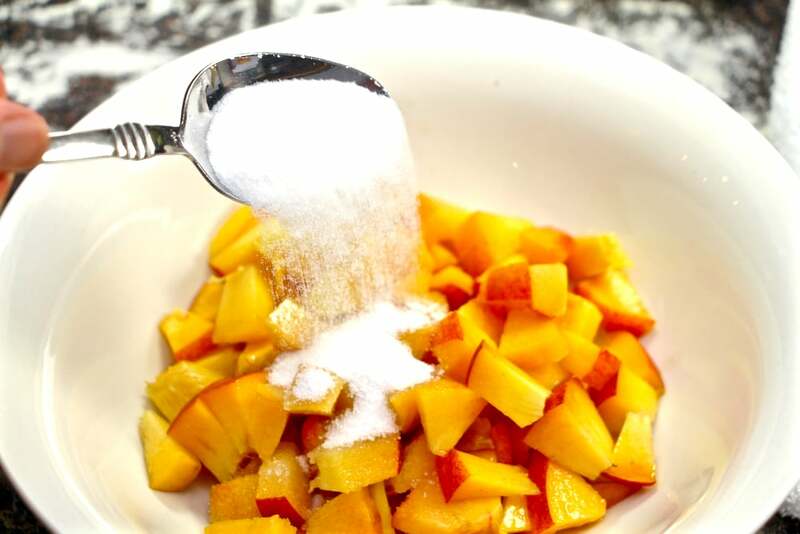 If the peaches won't be served right away, also mix in a splash of lemon juice. 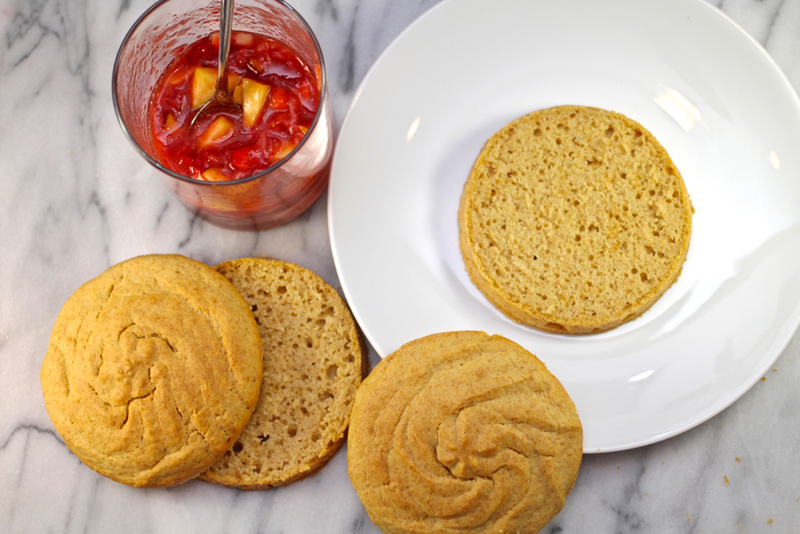 While the shortbread is still warm, cut in half and pile in peaches. Add the other half of shortbread and top with slices of peaches. Garnish with a sprig of mint. Some vegan ice cream or whip can kick it up a notch, too. This isn't some artificially flavoured sugary fizzy drink. It's made from ripe dark cherries and fresh squeezed lime juice. First, either use a cherry pitter - or just halve the cherries and pick out the pit. This birdbeak knife is handy for things like this. I use a couple handfulls of cherries per litre of water. Then juice, or muddle, the cherries. Since it's just a few cherries, I don't like to dirty up a juicing machine, so smashing with a muddler works easiest. 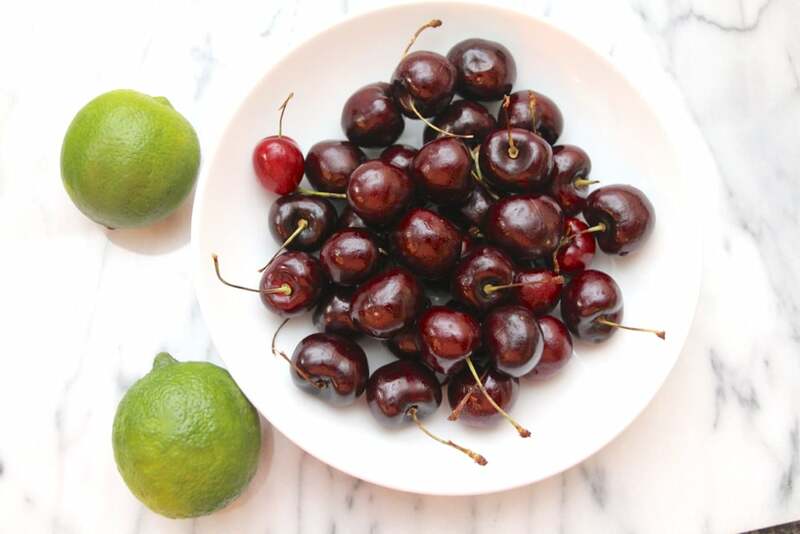 Then, add the juice of two limes to the smashed cherries. Strain out the pulp and set aside the juice. It does need just a little sugar to add some sweetness. I use about half as much sugar as juice. Add the sugar and juice to a bit of water. Then top it off the mixture with seltzer. Adjust the ratio of all the items to suit your taste, because, ya know, everybody likes things a little different. When the vegetables in the garden are fresh, they don't need much help to taste delicious. I like to put them on the grill and dress and season them lightly. 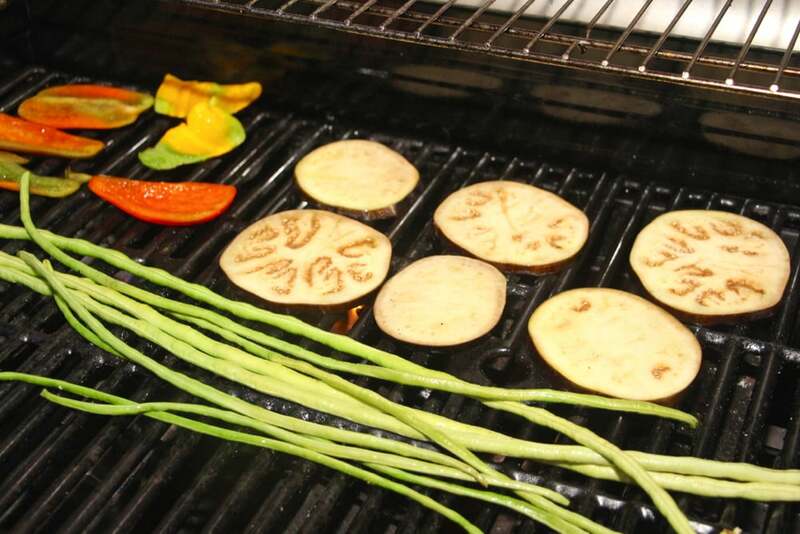 Most vegetables grill fairly well - as long as they're big enough not to fall through the grate. 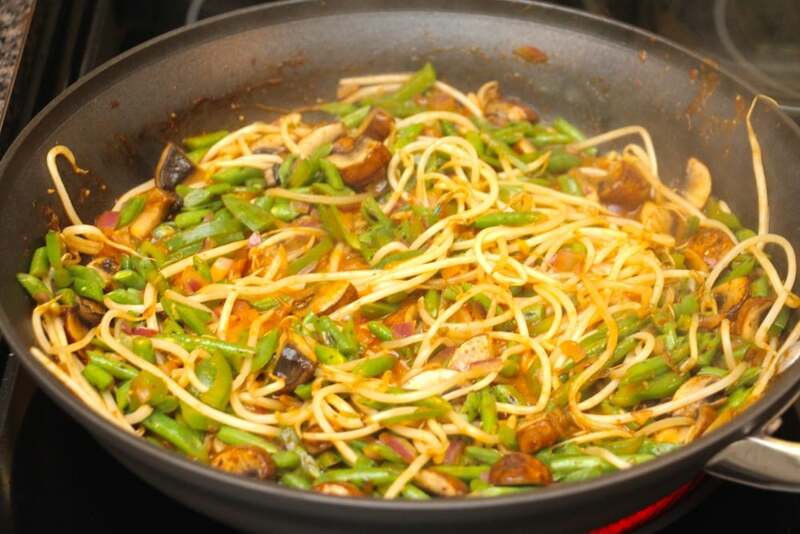 Here, I'm using bell pepper, long beans and aubergine. First, I like to coat everything lightly with olive oil and season with salt. It tastes great and keeps things from sticking. Then I like to get a good char on the peppers so that the skin slides off easily. 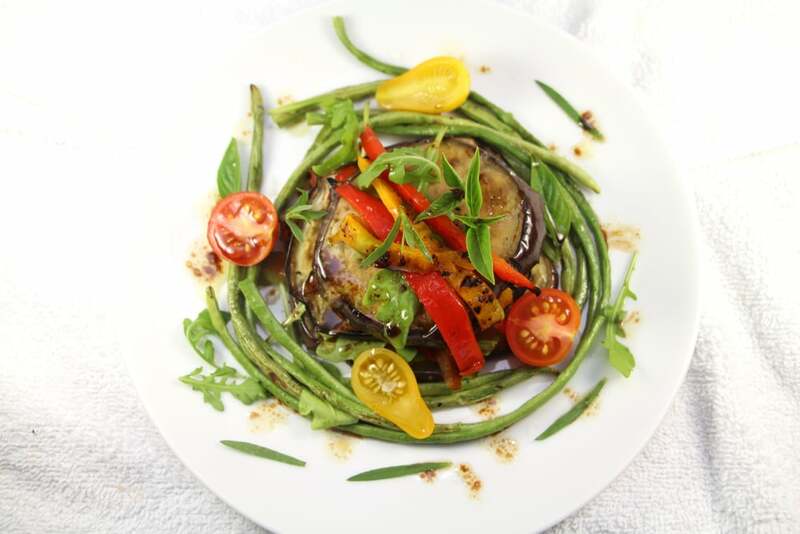 The beans and eggplant need to grill just long enough to become tender - not mushy. Plate it up fancy! So many vegetable dishes tend to be simply piled on the place. Take a moment to arrange the ingredients to be visually appealing. I like to serve it with fresh tarragon, basil and cherry tomatoes. Then, drizzle a bit of aged balsamic and olive oil for extra flavour. Happy Summer!